Gifts from the Pirates: "Delicious autumn! My very soul is wedded to it, and if I were a bird I would fly about the earth seeking the successive autumns." Mrs M has pointed out nearly every day recently that this is the most beautiful Autumn that we have had and she is so right. The colours on the trees have been amazing and the dry weather has meant that all those red, orange and yellow leaves have been blowing around in the wind for weeks. It has also given me and Opeie the chance to get out adventuring even more. 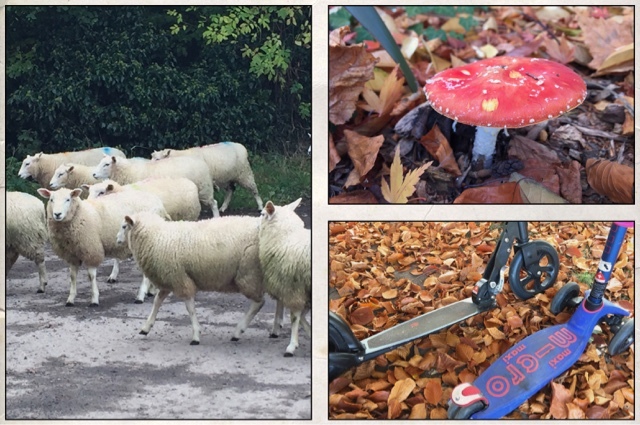 This has been the perfect season for our home schooling fun and we've been taking the Micro scooters out looking for interesting things wherever we've been. 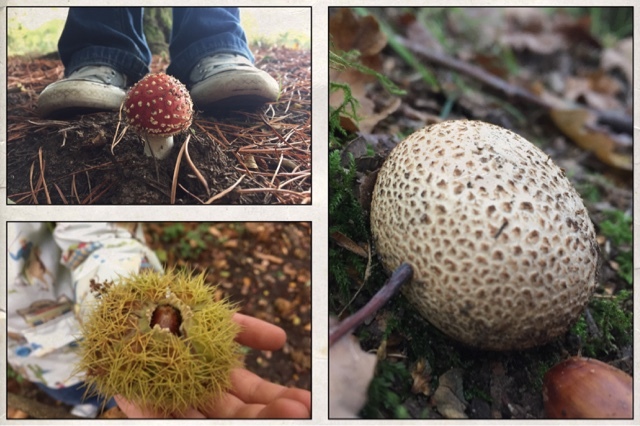 Autumn is great for fungi hunting and this year has been exceptionally good as we've spotted toadstools and lovely red Agaric fungus, which Ive never seen out before. 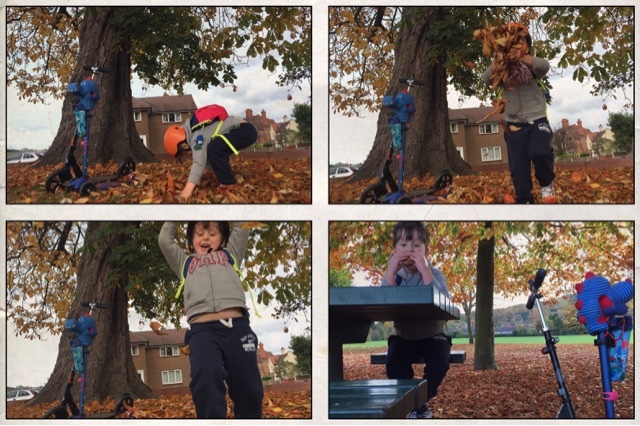 There is so much fun to be had in this dry, sunny autumn weather, making piles of leaves and jumping around in them and we have been taking full advantage. These scooting adventures of ours are what homeschooling at this age is all about. 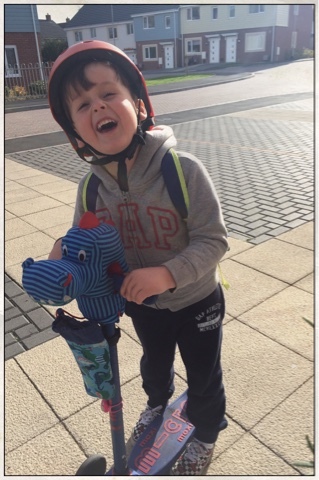 Getting out and taking in our surroundings is the best kind of education for young children and these afternoons scooting together have also been a great way of breaking up the more academic learning we have been doing at home. 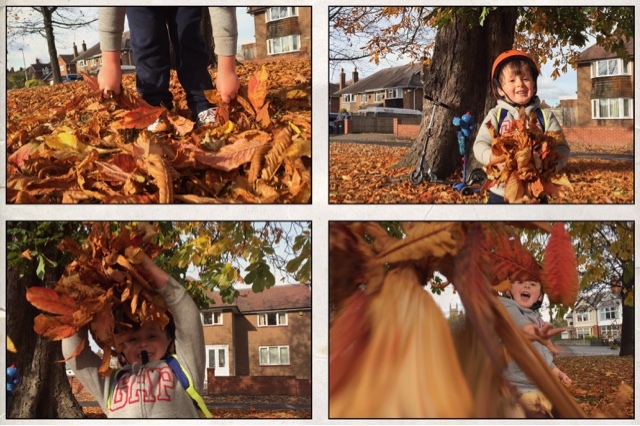 I'm hoping that this dry Autumn means that we are in for a similar winter, so that our Micro adventures can continue through the colder months and our outdoor home education can continue on wheels.